Wi-Fi on UK trains has been growing massively in recent years and, with a £50 million fund announced earlier this year, its presence is only set to grow even more. It’s important, however, to see just how far Wi-Fi has already spread. 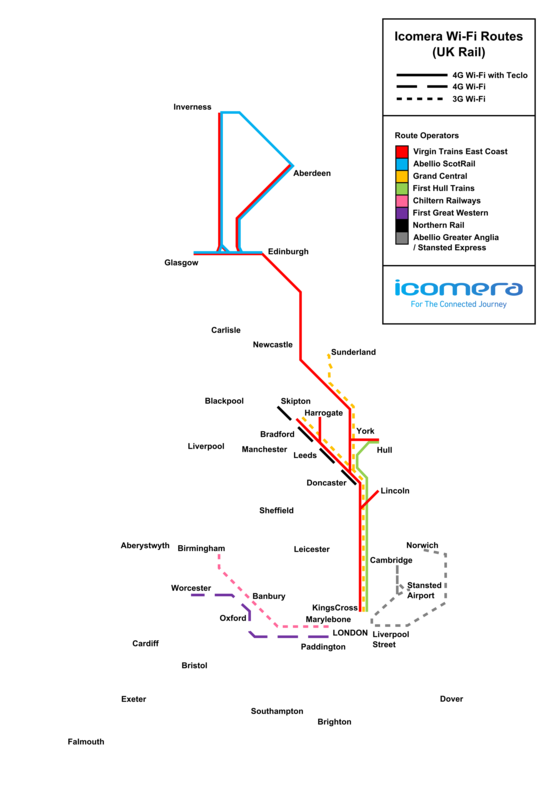 Here’s Icomera’s State of the Nation UK Rail Map, showing where high-quality Icomera Wi-Fi is available across Great Britain.